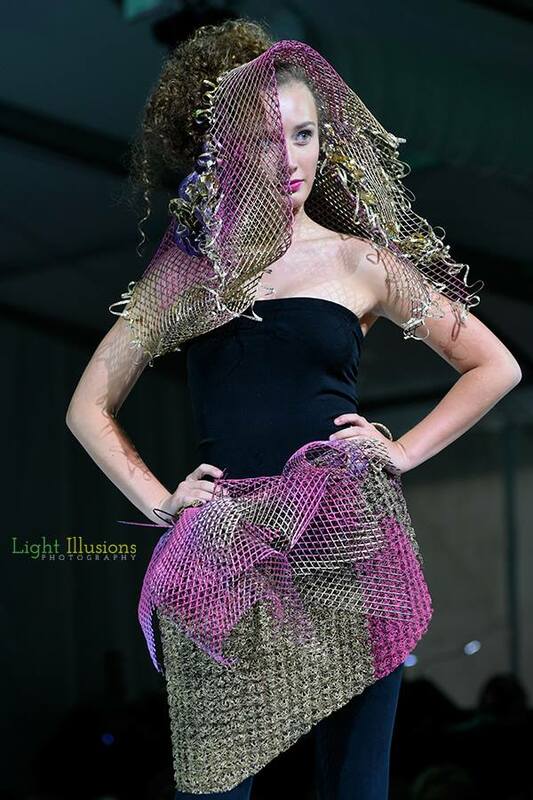 Headpiece shown as part of ensemble at Omaha Fashion Week, August, 2015. 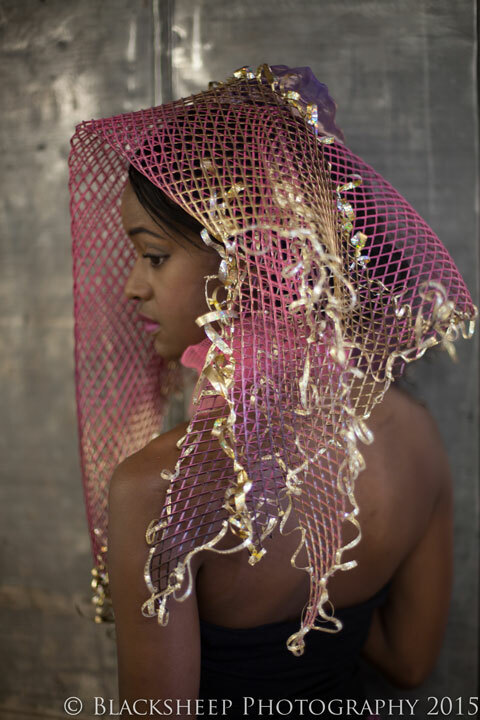 This piece can be worn as veil or as neckpiece. 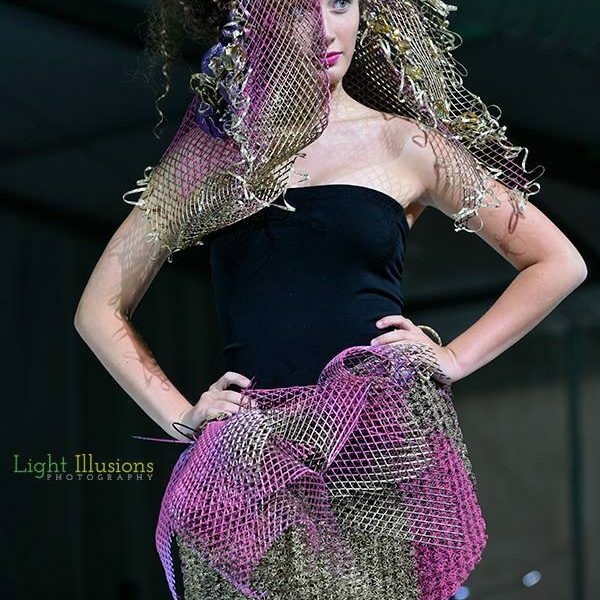 Photographed by Jim Lamb of Blacksheep Photography of Omaha and modeled by Jessica Lauren. 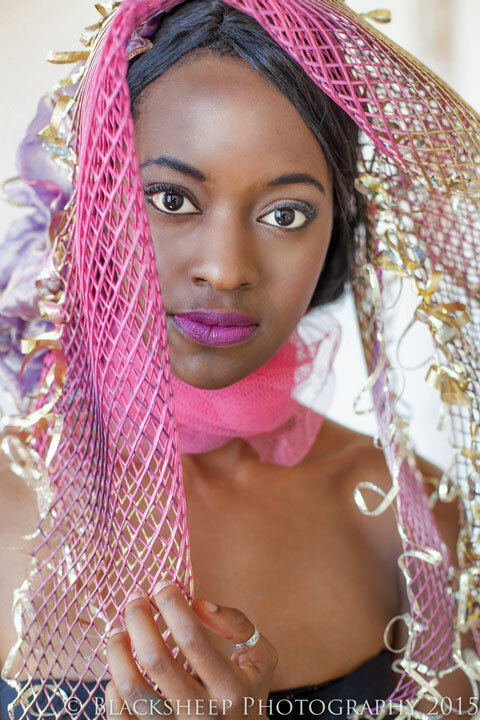 Hair and makeup by Urbane Salon and Day Spa.